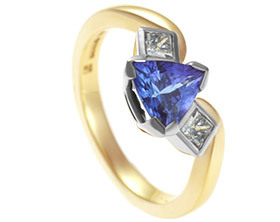 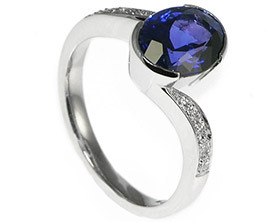 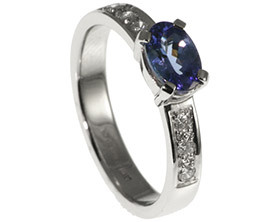 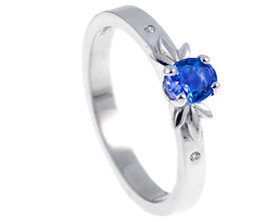 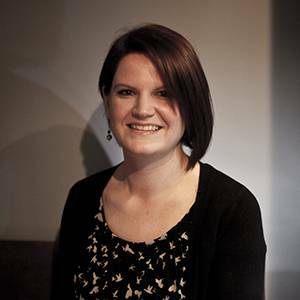 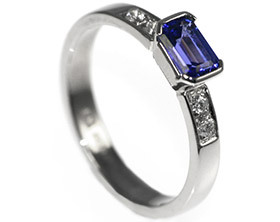 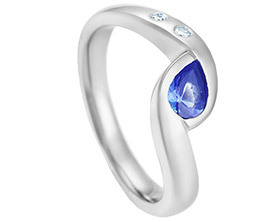 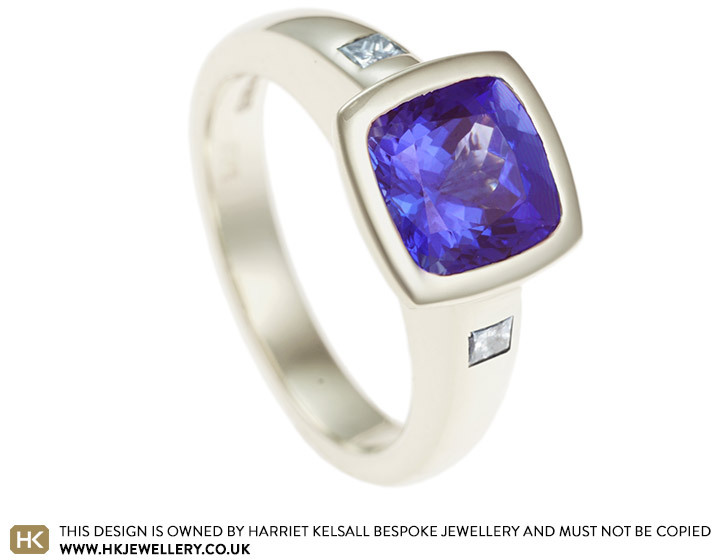 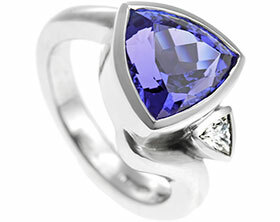 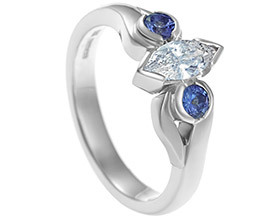 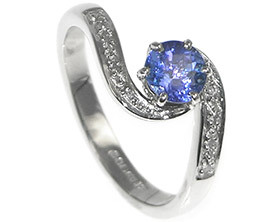 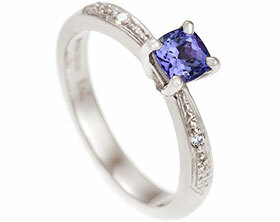 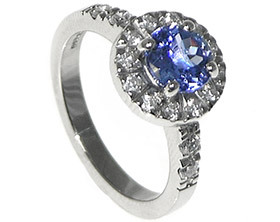 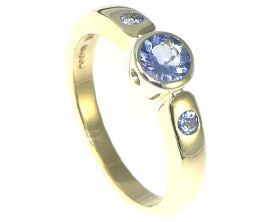 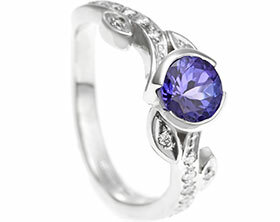 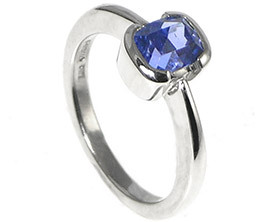 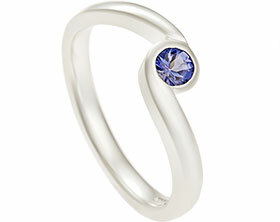 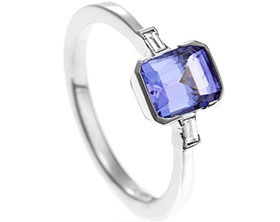 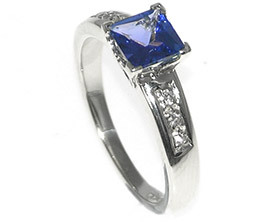 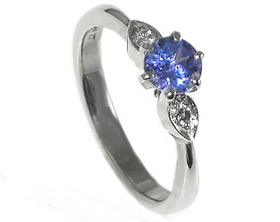 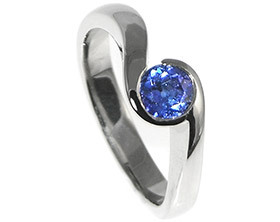 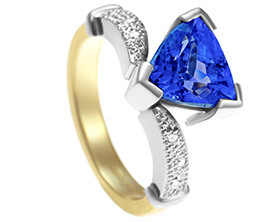 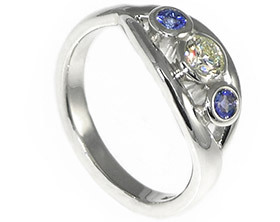 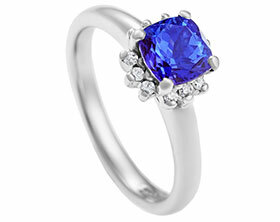 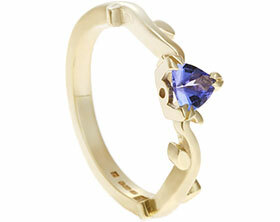 Nick had his own tanzanite and wanted to have it set into a bespoke engagement ring. 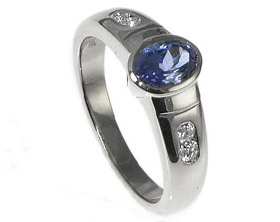 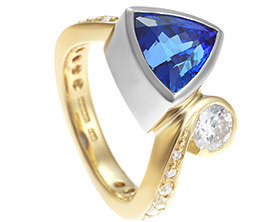 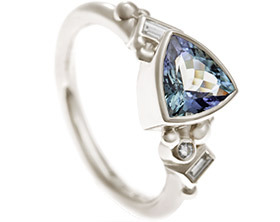 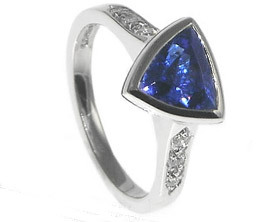 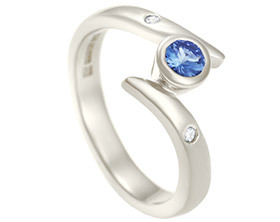 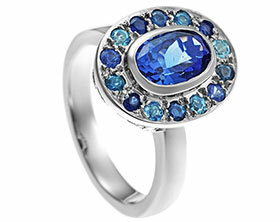 The beautifulstone is set in an all around open tip setting so that the body of the stone is visible from the side. 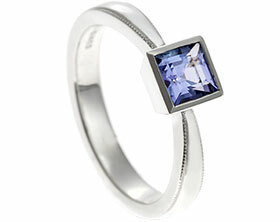 The delicate band holds two invisibly set 2mm princess cut HSI1 diamonds to add even more sparkle.